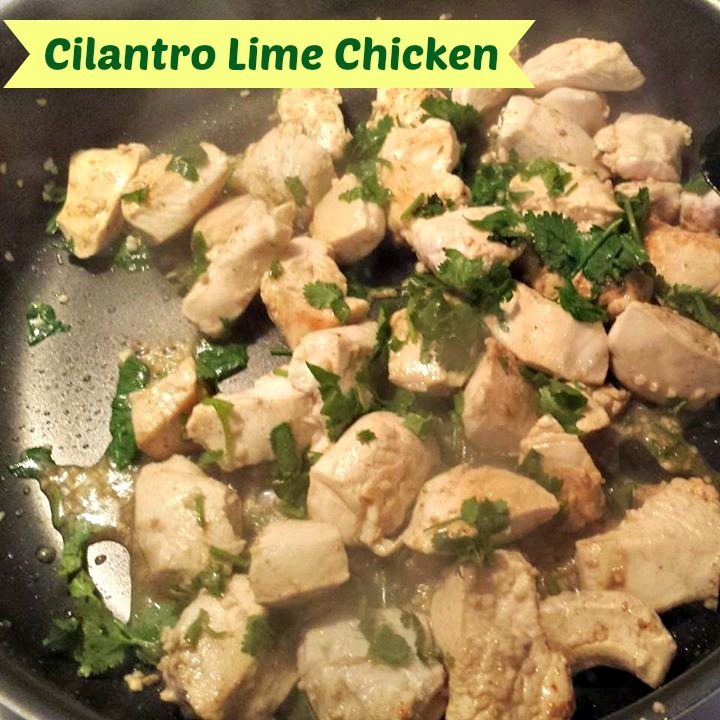 Cilantro Lime Chicken is recipe that is a huge hit with my whole family, I was surprised my kids even liked it!! The best part is the chicken is a low Points Plus Value on the Weight Watchers program since the only thing with points is the chicken and the olive oil. I served ours with rice as a the side and used the left over chicken on my salad the next day! Prepare the garlic, cilantro, and lime if needed. Cover the chicken lime juice. If you wish to cut a lime into wedges and slice the avocado tp lace on to the table. Cut the chicken into chunks. Or you can skip this and cook them whole but chunks cook faster. 5 Flip the chicken and allow to cook a couple more minutes to brown and then reduc the heat and sprinkle in the garlic and lemon zest. Stir it a litte and allow it cook with out the garlic burning. 6 Once chicken is cooked add lime juice and stir all up. 7. Place chicken in a bowl and sprinkle with cilantro.